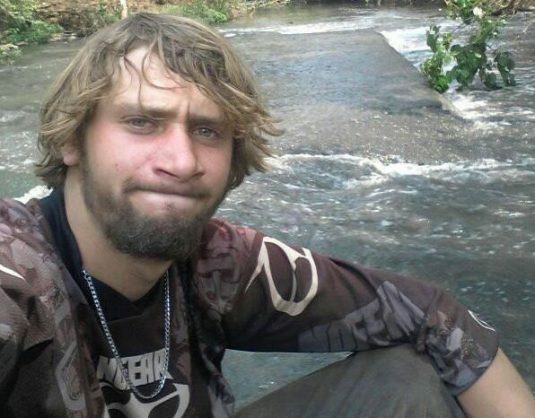 20-year-old university student Shaun Boshoff has been hailed as a hero for saving a father and his daughter during a flash flood over the weekend. A 20-year-old man saved a father and his daughter when they were trapped inside a car during a flash flood on Saturday, reports Pretoria East Rekord. The incident happened while Shaun Boshoff and his family were driving to Vereeniging. “It started raining heavily and we stopped when we spotted a car that was sinking in a flood of water on the road,” said Boshoff. When his mother realised that there were people in the car, Boshoff ran to their rescue. He managed to help the little girl out of the car by carrying her on his shoulders. The Tshwane South College electrical engineering student said that “it was a natural instinct for me to help people who were in danger”. 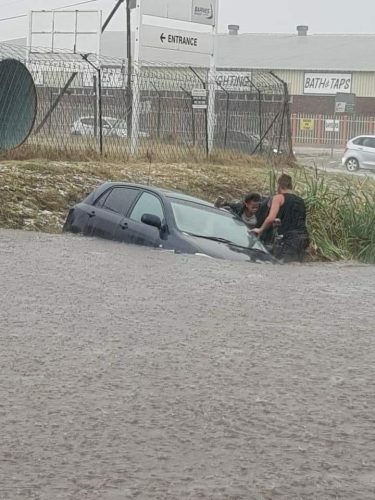 Shaun Boshoff saving the girl trapped inside a car during flash floods over the weekend. While he was carrying the little girl, Boshoff slipped and fell, but he managed to keep the girl safe. “Any person that could stand on their two feet would have been able to do it,” he said. He said the pair was taken to safety at a nearby business outlet to “keep them out of the cold and make sure they were safe”. Photos of Boshoff’s heroic act have been circulating on social media, with people commending him for his bravery. He said the family tracked him down through social media and has since made contact with him to thank him. “They also invited me to their house for dinner,” he said.